Book Description: This book offers authors new perspectives on how to move forward with their work, including how they can make it easily accessible and affordable for their students. This book offers authors new perspectives on how to move forward with their work, including how they can make it easily accessible and affordable for their students. Written by two librarians, this title provides information on the various file formats for publishing, as well as copyright information. 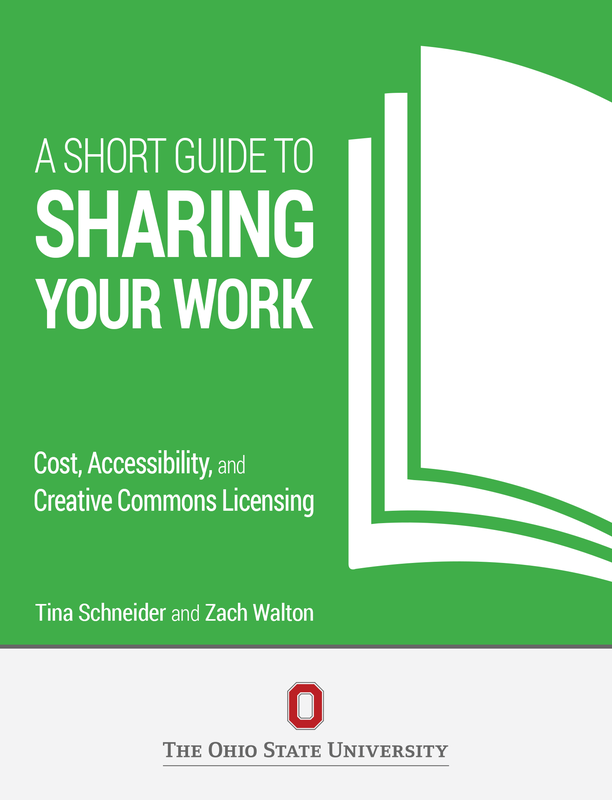 A Short Guide to Sharing Your Work by Zach Walton is licensed under a Creative Commons Attribution-NonCommercial-ShareAlike 4.0 International License, except where otherwise noted.